Registration for BC Family French Camp 2015 is now open! Make sure your CPF membership is up-to-date! 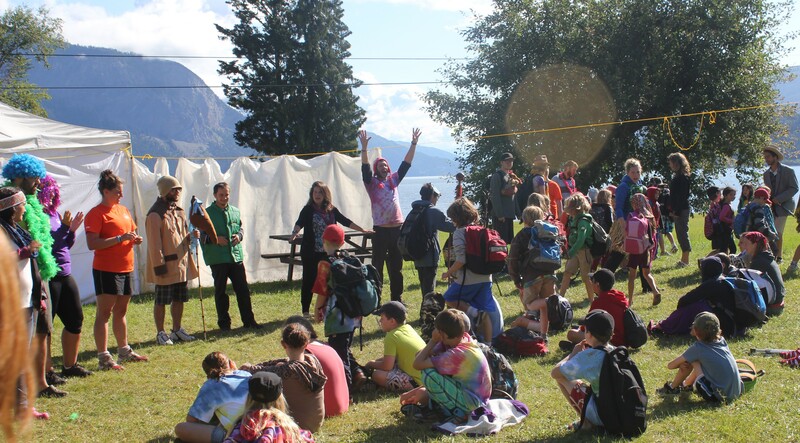 At BC Family French Camp, children from French Immersion or Programme Cadre bring their families along to camp. Families camp in their own tents or trailers. Together, a friendly neighbourhood is formed, surrounded by the sounds of children playing and singing in French. Parents enjoy a rewarding blend of lounging time and sharing in a variety of small volunteer duties while their children use their French in a wonderful outdoor setting with their energetic and funny French-speaking moniteurs. And parents don’t have to be able to speak French! Evening activities for the whole family include night games, volleyball or kickball, communal dessert, communal dinner, and sing-along campfires. Many happy memories are always made at BC Family French Camp, check out the sights and sounds of the 2014 camps in the video below! Canadian Parents for French (CPF) promotes French-second-language learning opportunities for young Canadians. BC Family French Camp (BCFFC) enjoys the support of CPF and for that all campers are required to be members in good standing. Many of the camp dates fill up fast so to avoid processing delays, make sure you have your current CPF membership in place! You need to show proof of your existing CPF membership that expires September 1, 2015, or later. This can be either (1) a photocopy of your laminated membership card or (2) the label from a recent newsletter, but must clearly show when your membership expires. Click here for CPF membership information.